Cardi B, the chart-topping rapper behind hits such as “Bodak Yellow” and “I Like It,” is an avowed presidential trivia enthusiast who has previously weighed in on topics ranging from the United Nations’ role in Libya to a minimum age for gun ownership. 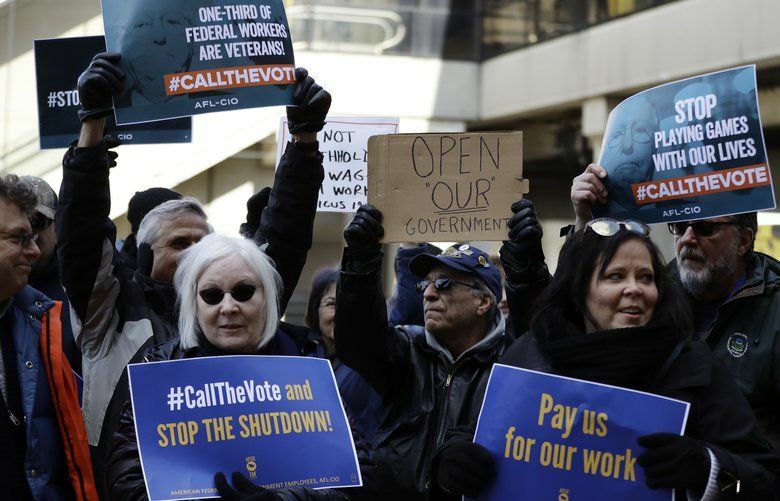 So it should come as no surprise that she had plenty of thoughts on the fact that nearly 50,000 federal employees have been told to return to work without a paycheck amid the partial government shutdown, which is now the longest in U.S. history. Still, it appears even the Bronx-born artist, real name Belcalis Almanzar, didn’t anticipate the response to the 58-second video that she posted to her Instagram account on Wednesday evening — a succinct denunciation of the shutdown that quickly racked up millions of views in a matter of hours and inspired calls for the rapper to run for president, deliver the State of the Union address or get her own cable news show. “Why am I trending?” she wondered out loud when she logged into Twitter hours later. Many of her fans don’t necessarily care about the shutdown, since they don’t work for the federal government or “probably don’t even have a job,” she acknowledged. But the ongoing standoff stemming from President Donald Trump’s insistence that taxpayers should help fund a wall along the U.S.-Mexico border, she told them, was something to take seriously. Shaking her head, she gestured emphatically with her long fuchsia nails. “I feel like we need to take some action,” she mused. “I don’t know what type of action, [expletive], because this is not what I do. But [expletive], I’m scared. 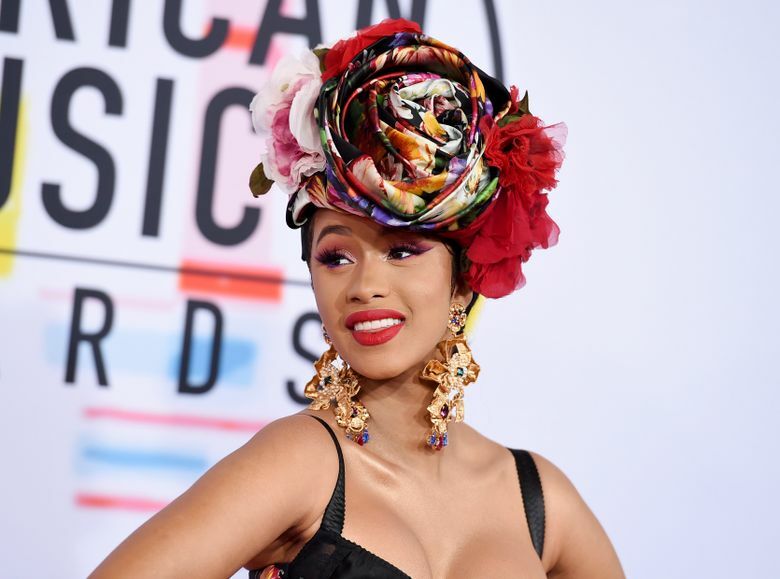 By early Thursday morning, the Instagram video had racked up nearly 9 million views and accolades from prominent Trump critics, who praised Cardi’s concise, pointed commentary. “Colorful language and eyelids, but the message is loud and clear and the sentiment is shared by many Americans,” tweeted CNN commentator Ana Navarro. Sen. Brian Schatz, D-Hawaii, wrote that he was trying to decide whether to retweet the video, which largely echoed congressional Democrats’ talking points but added a heavy dose of profanity. The answer, it turned out, was no. “Wouldn’t be senatorial,” Schatz explained. The White House did not immediately respond to a request for comment late Wednesday night, and there was little immediate response from conservative commentators, save for a handful of tweets deriding the rapper and her music. Earlier in the day, Cardi had offered an even more biting critique of Trump on Instagram Live. She also accused the president of being a “clout chaser,” a derisive term for individuals who seek fame and attention. After she skyrocketed to fame with the release of 2017′s “Bodak Yellow,” fans rushed to claim her as an avatar for their own personal political beliefs. A viral Twitter thread that year offered a tongue-in-cheek Marxist interpretation of the lyrics to “Bodak Yellow,” suggesting that “These is red bottoms, these is bloody shoes” could be translated to mean “overthrowing the bourgeoise may be a bloody affair, but the working class will prevail.” Several months later, the singer posted a rant about taxation on Instagram, leading Reason magazine to dub her “your new libertarian hero.” Her vague remarks last April about having a baby because she “didn’t want to deal with the whole abortion thing,” likewise, prompted anti-abortion groups to hold her up as a symbol of the movement, even though Cardi has never publicly stated where she stands on the subject.